I listened to the Audible audio version of this book. 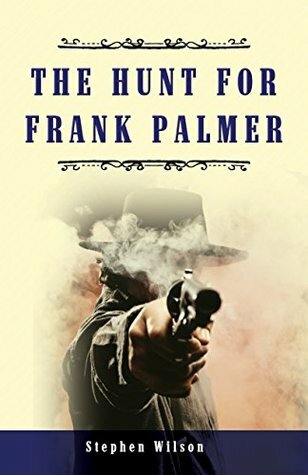 "Great Western and Looking Forward to More "THE HUNT FOR FRANK PALMER is an especially good western tale. It has everything one would expect from this genre. This is a story with a likable main character that I look forward to following throughout his adventures. The supporting characters are all excellent as well. The town of Redemption is dusty and somewhat gritty and you really get the feel of the old west. Book two gets even better but this can also be listened to as a stand alone. I wouldn't miss any of them though.STEPHEN WILSON is a wonderful author and I feel this is going to be an epic.J. SCOTT BENNETT does a superb job narrating. His voice lends an old west drawl to an already good story making it even better. He has great vocal skills and perfect inflections making this a definite good listen. Recommended listening for any lover of westerns. "This audiobook was provided by the author, narrator, or publisher at no cost in exchange for an unbiased review courtesy of Audiobook Blast." This was another really great Western. I am really enjoying the Frank Palmer Stories. This is the second book in the series, but I think there is room for a book #1.5 because this book takes place several years after the first, and I would love to know more about what happened between Frank and Lisa, as well as see Frank's experience raising a little boy who is half Indian. That being said, this book is engaging, and I would say that it stands alone pretty well - you don't have to read the first book (but why would you want to miss it?) The book abounds with interesting characters and I love that Frank is putting his past to use working for the law. I can't wait to read the next book in the series. I listened to the Audible audio version of this book narrated by J. Scott Bennett. Bennett is a great narrator, and he does a great job giving each character a unique voice. His voice really adds to the story.If you like Westerns, or stories of redemption, I highly recommend this book. This book picks up with the continuing saga of Frank Palmer from the first book Redemption. I had the privilege of narrating the first, and now this book for Audible. I enjoyed this one very much. Lots of exciting action. A few years have passed, and Frank is now settled in Redemption, California with his adopted son Chance. He is still looking over his shoulder because he is being hunted by Pinkerton detectives for his involvement with the Colter gang. I won't spoil it, but many things from the first book are resolved. But there is room for a third book as some things are still unresolved. "This audiobook was provided by the author, narrator, or publisher at no cost in exchange for an unbiased review courtesy of Audiobook Blast. "A historical fiction continuing the story of Frank Palmer.Frank aka Mark turns his talents to helping the law catch his old gang. Enter a woman with a secret being blackmailed by Pinkerton Detectives trying to catch Frank.I want to read MORE!! !The narration was excellent, sounds of old west. Another enjoyable listen to the second book in the series. No major surprises in this book, although I was a bit surprised with the plot twist regarding the Colter gang. J. Scott Bennett did a fine job of the narration again. FantasticThese books about Frank Palmer, are really great. I do hope there will be ore on this man. I hope him and Lisa will find a way to be together. Second book in this series. Good read. Thoroughly enjoyed it and the characters. Can't wait to see what happens in future Frank Palmer books.